Explore how knowing who we are in Christ changes every aspect of our lives. From the wisdom and perspective of insightful authors-including Jen Wilkin, Hannah Anderson, and Jen Pollock Michel-we'll seek to answer this question by: Exposing our false notions of identity; Understanding the biblical truth of our identity in Christ; and Reflecting on what it looks like to live in our new (and true) identity. In 10 chapters we'll cover everything from our identity as children of God to citizens of heaven. At the end of each chapter, study questions will facilitate group discussion as you consider this glorious truth with your friends. Join us as we explore how knowing who we are in Christ changes every aspect of our lives. In a secular world that boasts 50 sexual identities—or 500 by the printing of this commendation—we see that there is no more vital topic for Christians to understand than what identity in Christ means and does. We must ask ourselves: what is the relationship between my deepest feelings and my sovereign God? Do my compelling desires tell me who I am or how I am? 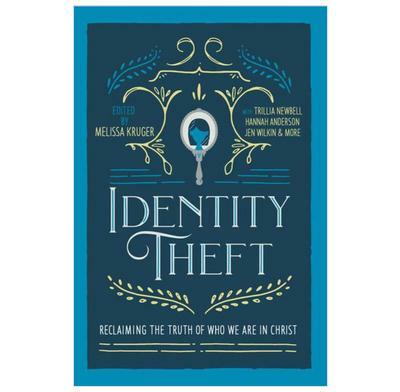 Te essays in Identity Theft are witty, engaging, accessible, and insightful, with helpful memory verses and study questions, encouraging readers to resist the identity theft of secular modernism and instead to grow in union with Christ. To know and to live into our identity is essential for both our own well-being and the well-being of the church. With compelling insights and biblical teaching, the essays collected here, written by some of wisest women I know, point out the subtle and signifcant ways true identity can be lost— and found.